According to the 2017 edition of Edison Research’s “Infinite Dial” report, 65% of people listen to podcasts on mobile devices. Based on location listened to most often, they further break down that 52% of the sampled audience most listen to podcasts at home, 18% in a vehicle, 12% at work, 3% on public transit, 3% at the gym, and 3% walking around. FeedPress advocates podcast producers pay close attention to loudness compliance with their audio. Irrespective of listening environment, it’s just good practice. Interest in podcast production techniques and the analysis of podcast audio is a growing trend. Engineers are analyzing many of the top ranking podcasts–including ones repackaged from radio–and are finding they exhibit a multitude of problems. Some of the problems podcasts have include an extended dynamic range, wide ranging degrees of loudness, and even clipped audio. Overly loud podcasts may contain audible distortion, which can be extremely uncomfortable for listeners. Furthermore, your audience should not be frustrated and have to constantly reach for the volume controls when listening to podcasts. This is why audio engineers advocate that podcast producers aim for a target loudness of -16 Loudness Units relative to Full Scale (LUFS) for stereo files and -19 LUFS for mono files. LUFS is a standard designed to enable normalization of audio levels of broadcast TV, other video, and now podcasts. 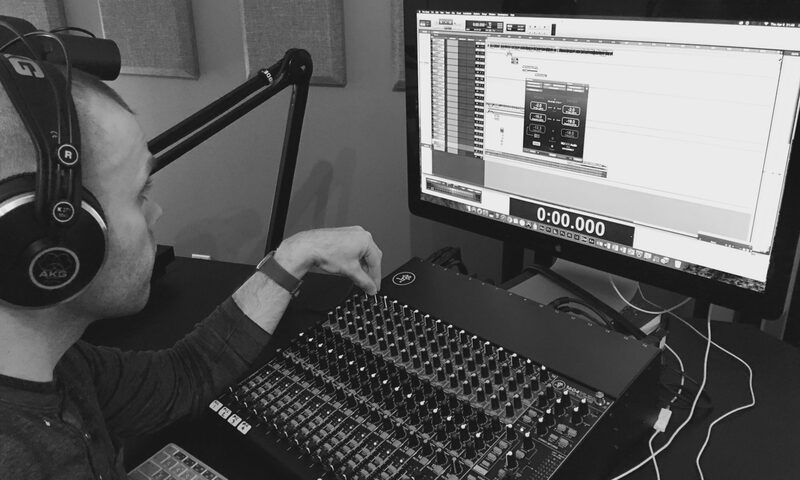 There are two reasons why engineers are pushing for audio compliance: maintaining a level of consistency between program audio, and comfort in loud listening environments. Some examples of noisy listening environments include: the morning or afternoon commute by train, car, or walking outside. Working with spoken word requires attention to detail to maximize intelligibility and loudness for mobile device consumption. You are a story teller, editor, and producer and must ensure the quality of your audio matches the high bar set for your content. There are solutions to this complex problem that do not require an audio engineering degree. For example, podcast producers can use tools built into Adobe Audition such as “Match Loudness” to optimize and export their podcasts to recommended compliance targets. Another solution is to use an online service such as Auphonic, which contains reasonable presets for novices. Note that even though there are tools that can make this job more efficient, you should still understand the fundamentals of why loudness compliance is needed and how it’s achieved. I’ve discussed the reasons why there is a need for revised Loudness Standards for Internet and Mobile audio distribution. Problematic (noisy) consumption environments and possible device gain deficiencies justify an elevated Integrated Loudness target resulting in audio that is perceptually louder on average compared to Loudness Normalized audio targeted for Broadcast. Low level, highly dynamic audio complicates matters further. The recommended Integrated Loudness targets for Internet and Mobile audio are -16.0 LUFS for stereo files and -19.0 LUFS for mono. They are perceptually equal. You now realize the importance of optimizing your podcasts for loudness compliance. To learn more about properly optimizing and mastering podcast audio, please read our in-depth article on loudness compliance.